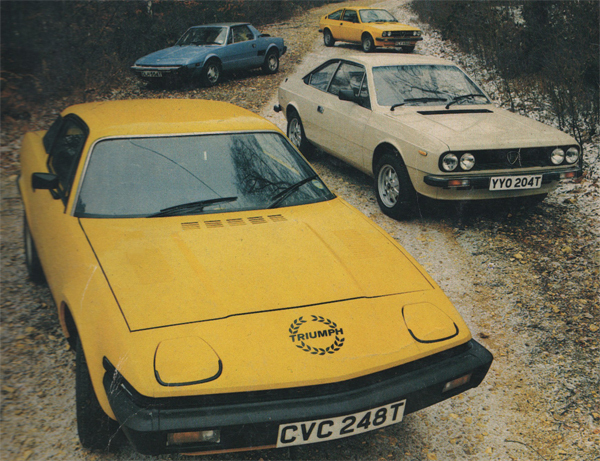 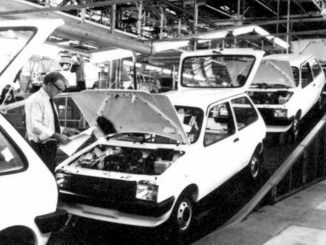 When Triumph launched the TR7 in 1975, it was a clear signal that the company was making a big change in terms of the direction of the long-lived TR line. 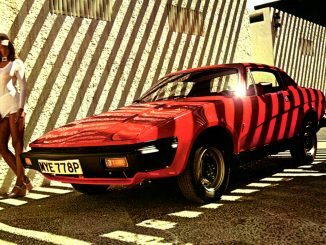 And even today, some people will find the wedged-shaped sports car a disappointment after the rorty, six-cylinder TR6. 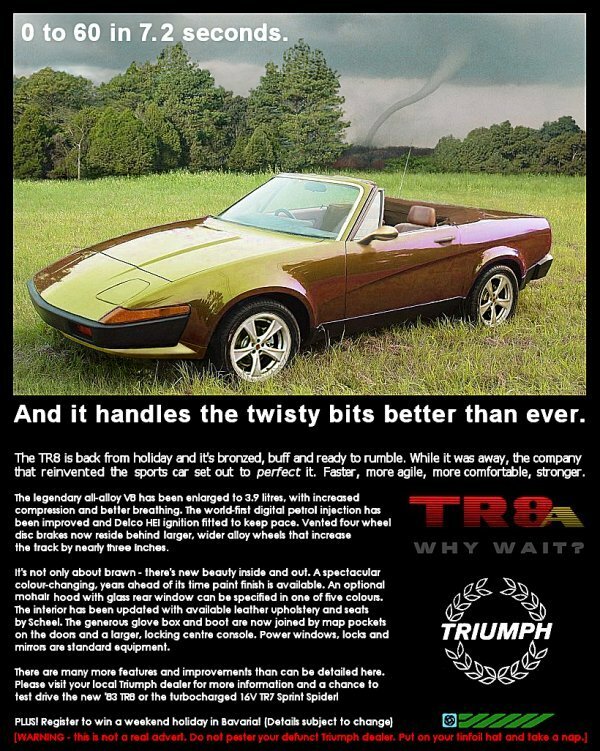 And It really wasn’t a true TR, as there wasn’t a convertible option at all from launch. 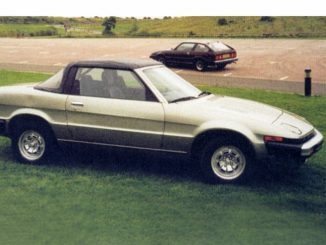 Triumph had been forced into taking the decision about it as a tin-top on the back of threatened US legislation banning open-topped cars. 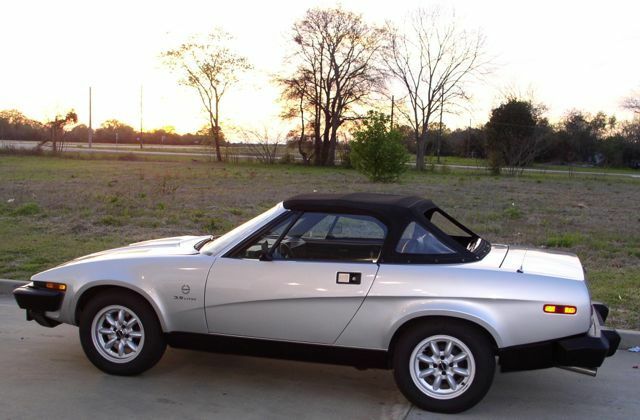 In the end, that never happened and the convertible TR7 arrived in 1979. 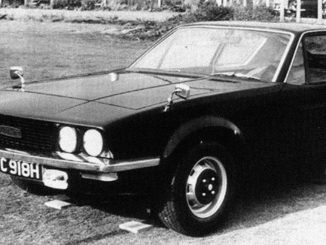 But for all the criticism over these points and the wedge styling, it sold faster than the TR6 ever had. 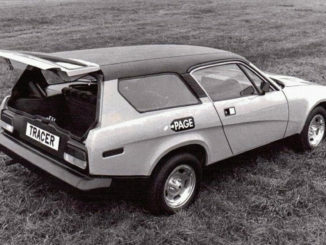 It’s a much easier car to live with too, driving more like a two-seater saloon than a sports car. 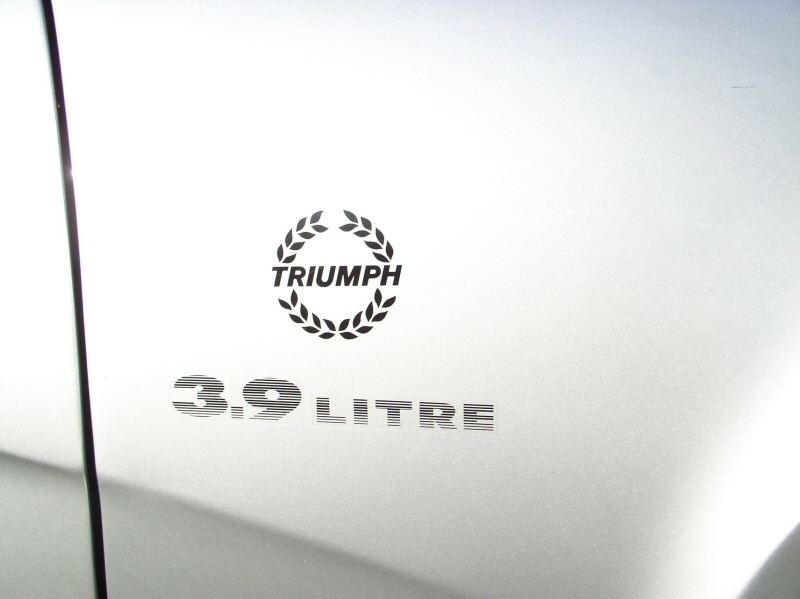 It’s also by far the cheapest way to join the ranks of Triumph TR ownership. 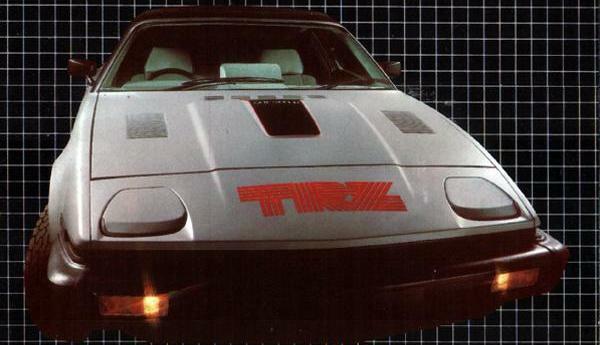 In 1980, the V8 powered TR8 was launched. 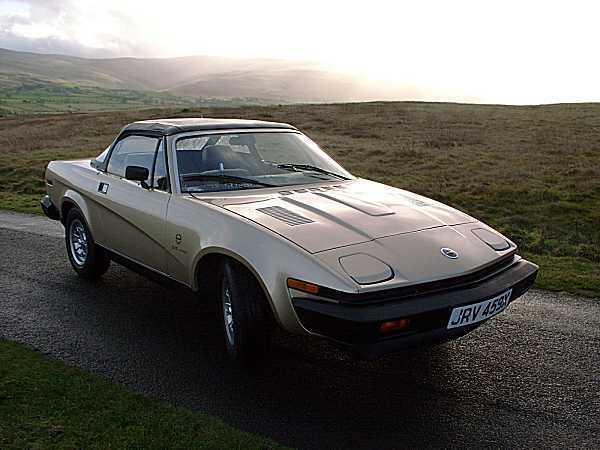 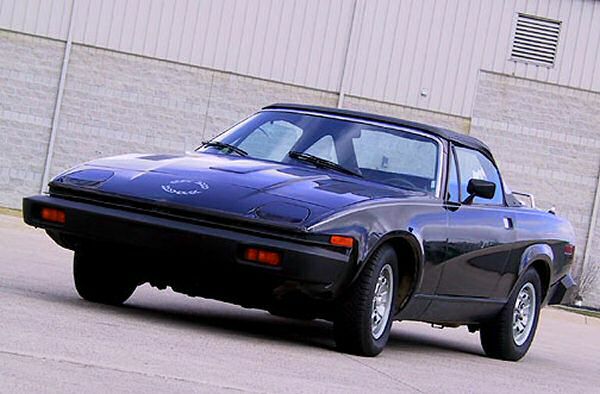 This was the car the TR7 should have been – after all, it was designed to accept the Rover V8 engine from a very early stage in the project. 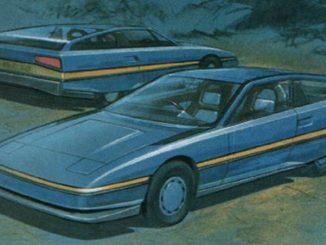 Sadly it arrived too late, was in production for less than two years and nearly all were left-hand drive examples sold in the USA. 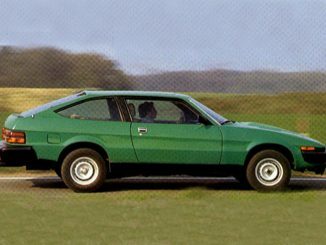 A handful of UK cars escaped into the wild – many more have since been created on a DIY basis – some cars clearly have been converted more professionally than others. 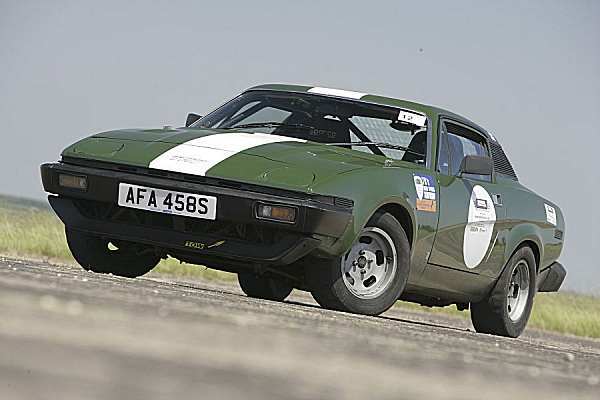 Brilliant to drive, good fun, and surprisingly effortless to drive.